I’m showing off my new crochet bag from Bonfire Cherry and my current WIP since it has been a little while. 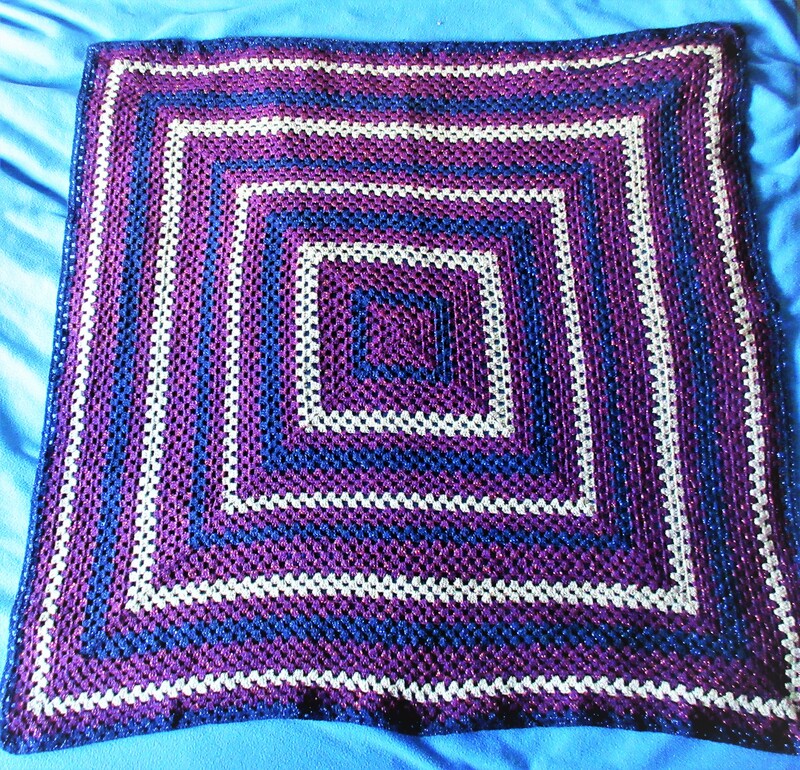 I started on a rather large granny square blanket in sparkly purple, blue and silver. The blanket will end up big enough to cover our super king size bed which will also cover all of our corner sofa for film days too! I’ve only managed to squeeze in a row here and there over the last few months alongside a small toy hammock. (I need to make another 3 of those too!) I am pleased with my slow progress and love how warm it is whilst I work on it. As always I have had a few incidents where the girls knock my WIP all over the floor which annoys me greatly! I finally decided it had been far too long since I spotted the Wool print bags from Bonfire Cherry and asked him about them. Unfortunately he stopped selling these but luckily for me he had one spare so I finally got my hands on a new crochet bag! My new crochet bag arrived beautifully wrapped and fits my current WIP with plenty of growing room. Keeping my WIP & hook together in one place at all times is so much easier. I am relieved and in love with the gorgeous Wool Print design from Bonfire Cherry. I have been joining in with the #HGDCMakersMoment the last 2 weeks, reminding me how much I enjoy crochet. Connecting with other crocheters and crafters is always so inspiring. Of course last week I joined in showing off my gorgeous new crochet bag which everyone loved. It made me smile even if I was dealing with a projectile vomiter repeatedly appearing in the hallway. I managed to join in the conversation a little at least. After I finish my blanket and 3 more toy hammocks, I am determined to make myself a cardigan! Heather who runs #HGDCMakersMoment found me some gorgeous designs so I just need to find the perfect wool. My crochet confidence has definitely gone up over the last year. Now I can’t wait to learn more tips and tricks. 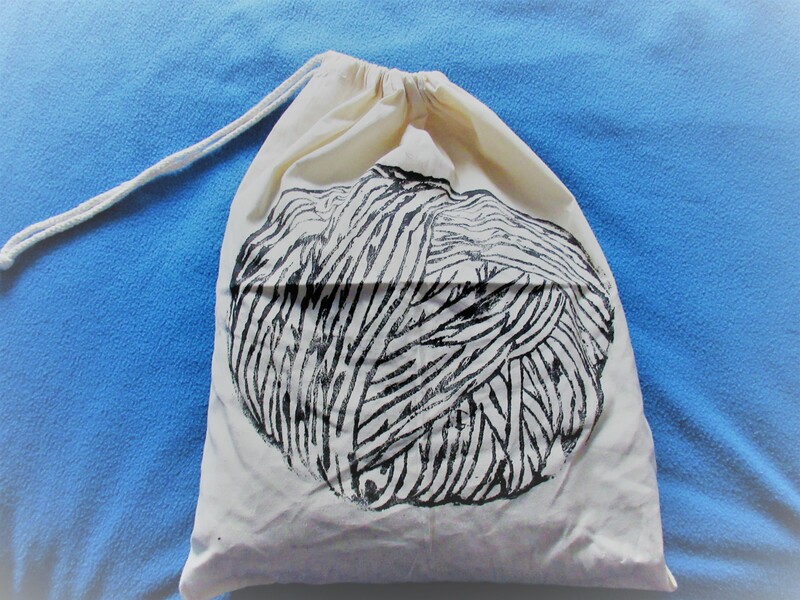 I would love to make us all cosy socks and jumpers for cold winters! What’s on your hook at the moment?